Isabella Gourmet Foods has served downtown Santa Barbara and beyond as a go-to boutique artisan grocery for 6 years, offering its patrons the most unique artisan foods the area has to offer. Founded in 2012, Isabella Gourmet Foods' owner and Registered Dietitian Amy Isabella Chalker marries the down home charm of an East Coast general store with the upscale setting of a big city boutique and injects it with fresh, local, organic food that Santa Barbara residents and visitors alike have come to expect from their specialty food shops. 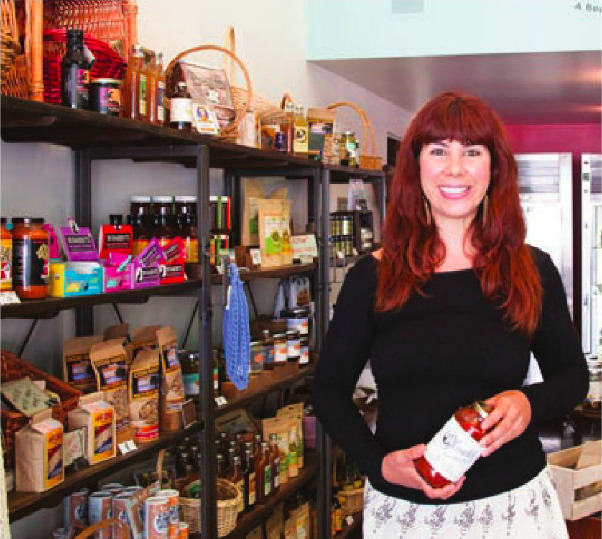 In 2017, the primary Isabella Gourmet Foods storefront closed and began operating as a series of semi-permanent pop-up locations around Santa Barbara. Now in 2018, Isabella Gourmet Foods, operates as an online-only store, still committed to offering locally- and regionally-made artisan food products, and fulfilling gift baskets, wedding favors, and other special bulk/corporate orders. Novelty items like avocado oil, bourbon barrel-aged maple syrup, and honey dijon popcorn, as well as a wide selection of gluten-free and vegan options are sure to meet the palates of even the most discerning and health-conscious customer. Scattered among the local offerings, customers will find carefully curated artisan foods from New England and the boroughs of New York, including Morris Kitchen Syrups and Salt Water Taffy, reflecting Amy Isabella’s journey from the East Coast to the West. Isabella Gourmet Foods also offers custom gift baskets and picnic baskets for a variety of occasions, including corporate events, concert meals, hostess gifts, weddings favors, and more. Inquire also for contracted catering services.